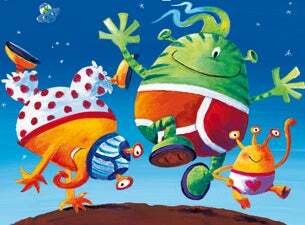 Aliens Love Underpants, of every shape and size, but there are no underpants in space, so here's a big surprise! This zany, hilarious tale based on the best-selling children’s book is delightfully brought to life on stage for the very first time. With stunning effects, madcap action, original music (and lots of aliens of course!) this fantastically fresh and funny production will delight the whole family. You'll laugh your pants off!